It didn’t take long before another camper asked about the meaning behind the big red numbers we spent the morning adhering to our Airstream. “Is that some kind of registration?” he asked. We were only too happy to explain. Our number, 9097, is our official membership number in the Wally Byam Caravan Club International (WBCCI), we explained. We joined the club through the Heart of Texas Camping Unit, part of Region 9, which encompasses Oklahoma and Texas. Having served in the Army, our questioner understood the importance of unit identification. We began by telling him about Wally Byam, who founded the Airstream company and designed the first Airstream travel trailer. Byam led caravans worldwide as publicity stunts for the Airstream brand, and his travels inspired other Airstreamers to found the WBCCI in 1956. Byam died just a few years later, but the WBCCI lives on, with thousands of members holding hundreds of rallies and caravans throughout the year. 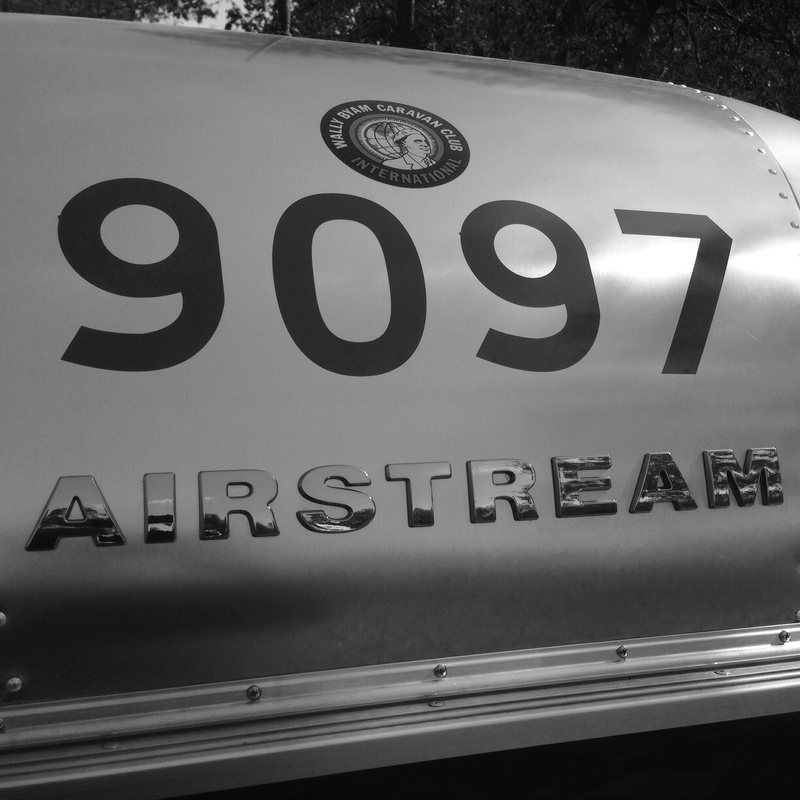 Displaying the numbers on the front and rear of the Airstream is part of the club’s esprit de corps, we said, and applying the first permanent additions to our trailer’s skin was an unexpectedly daunting task. After carefully reading the two pages of instructions from WBCCI headquarters, and consulting other Caravanners about the exact method, we climbed the ladder and began our task. We neglected to bring the yardstick, pencil and masking tape, so we had to make do with electrical tape, a good eye and ample patience. But, after about 90 minutes and with the assistance of Bloody Mary, we were finally able to take a tip from Phred (author of the “Phred Sez” column in the organization’s Blue Beret magazine) and walk away from the project. Success!